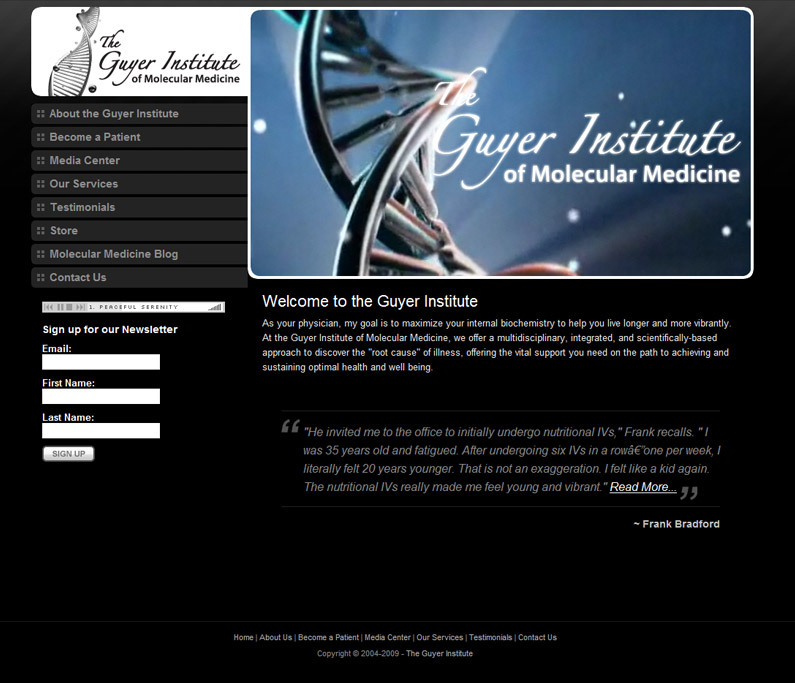 The Guyer Institute of Molecular Medicine was in need of a website redesign for an outdated version of their website. 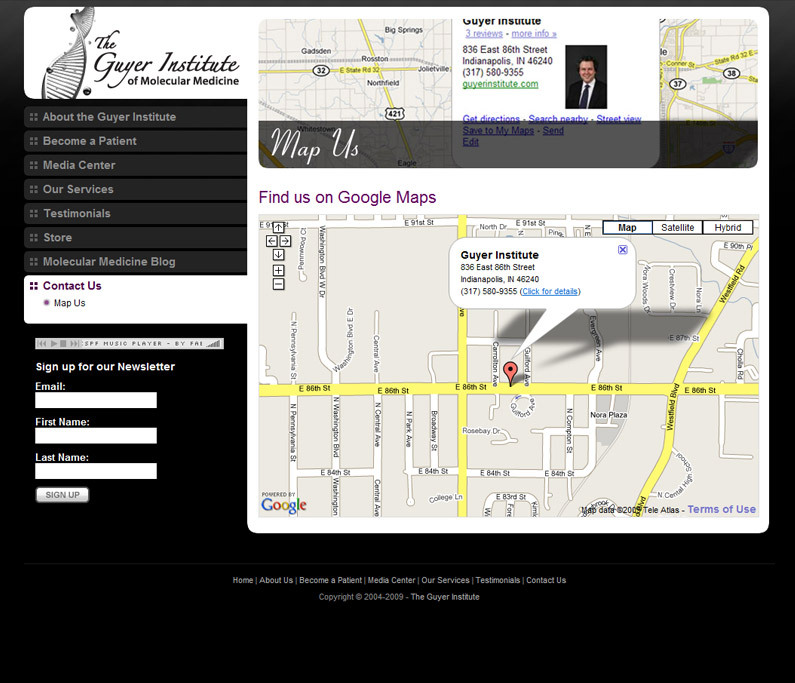 They wanted to maintain a similar interactive flash intro of their old site, but revamped to match their current branding and vision. 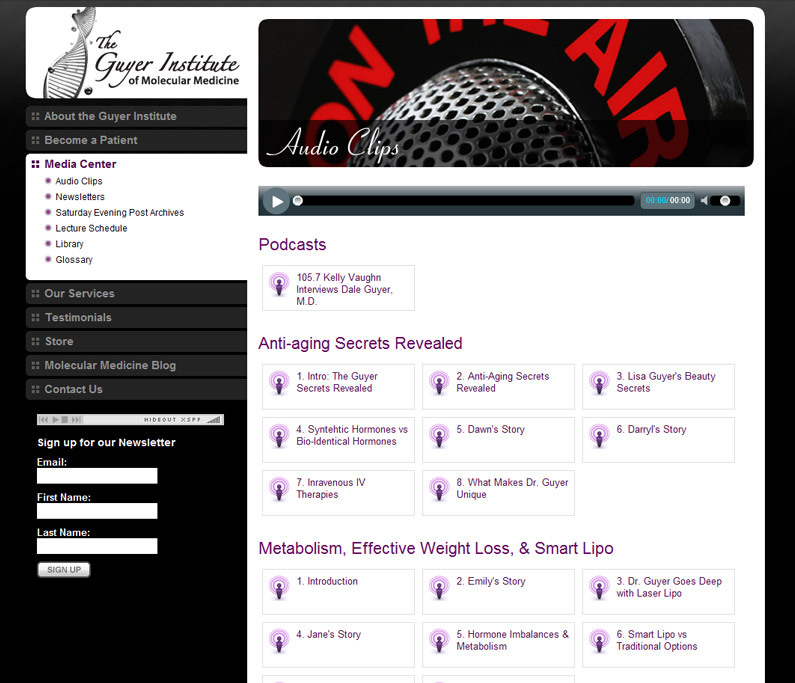 Along with the flash piece, they wanted the site to be more user friendly and focus on being an information rich resource for their given niche in medicine. 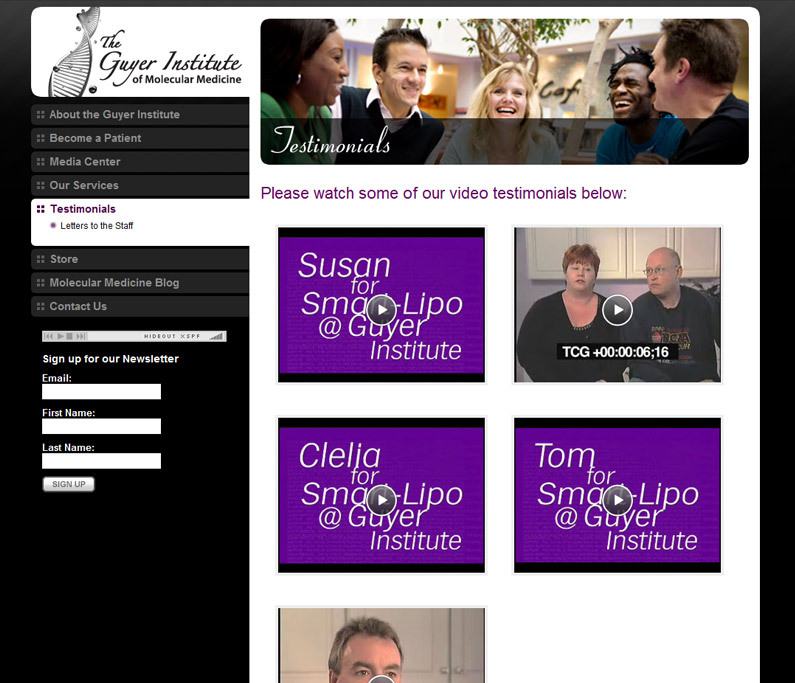 We worked across every detail with The Guyer Institute of Molecular Medicine to make sure the site met their business goals and branded image.